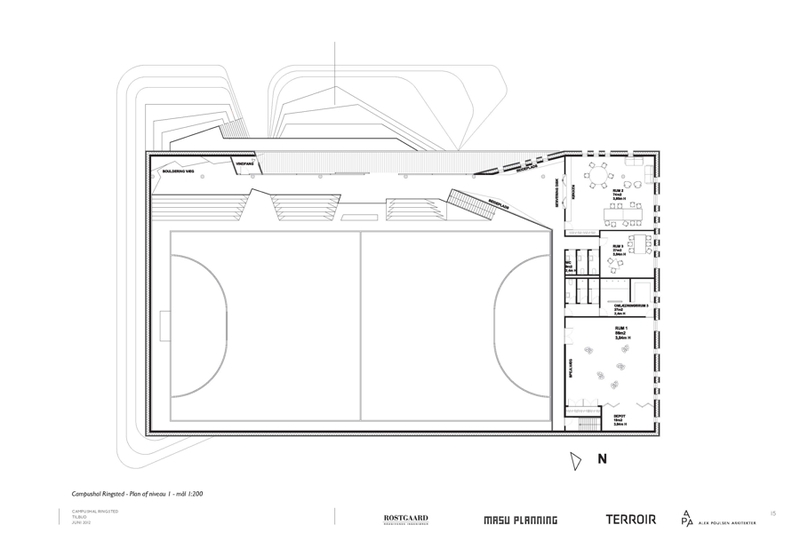 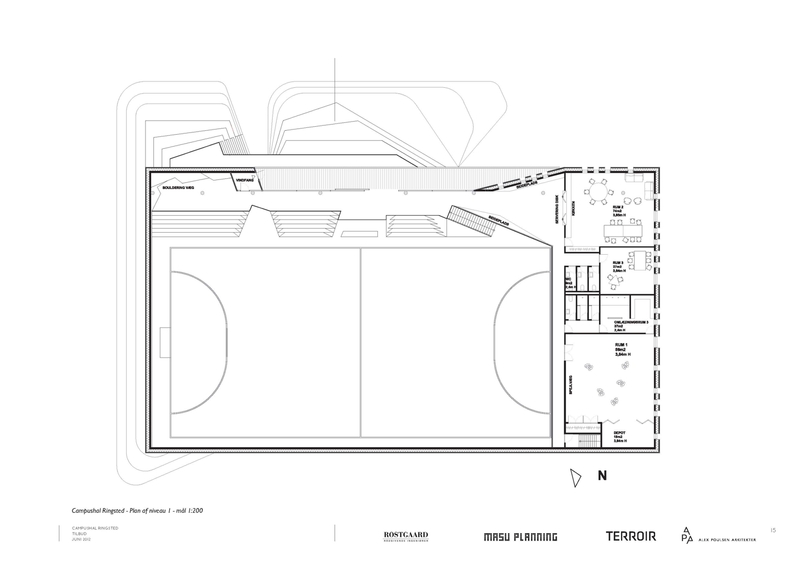 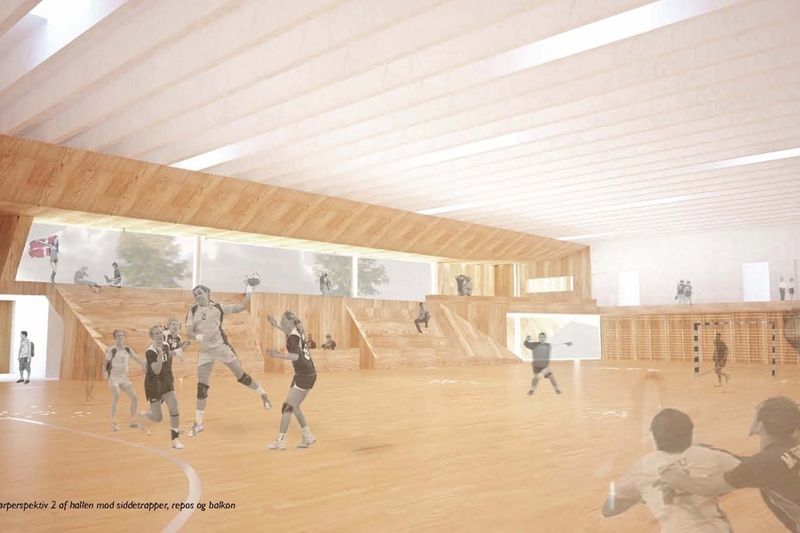 TERROIR with Alex Poulsen Arkitekter were shortlisted to the final four of this competition for a new sports hall for the Ringsted Gymnasium Campus south-west of Copenhagen. 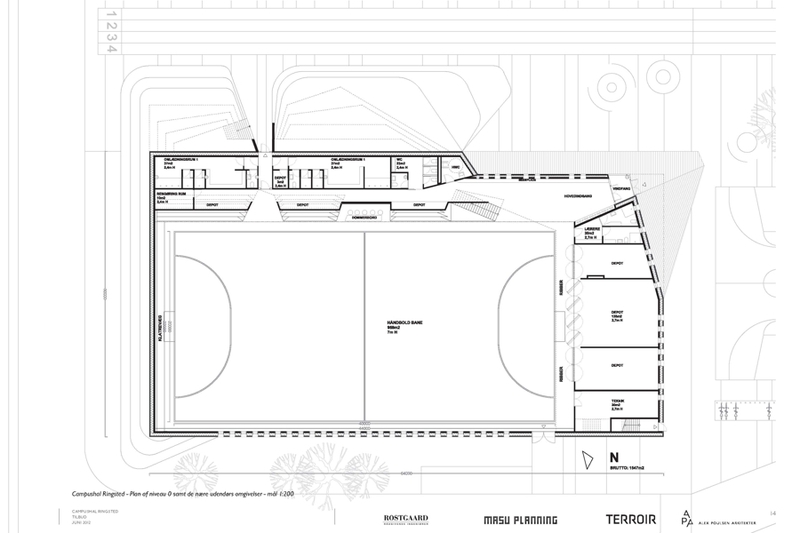 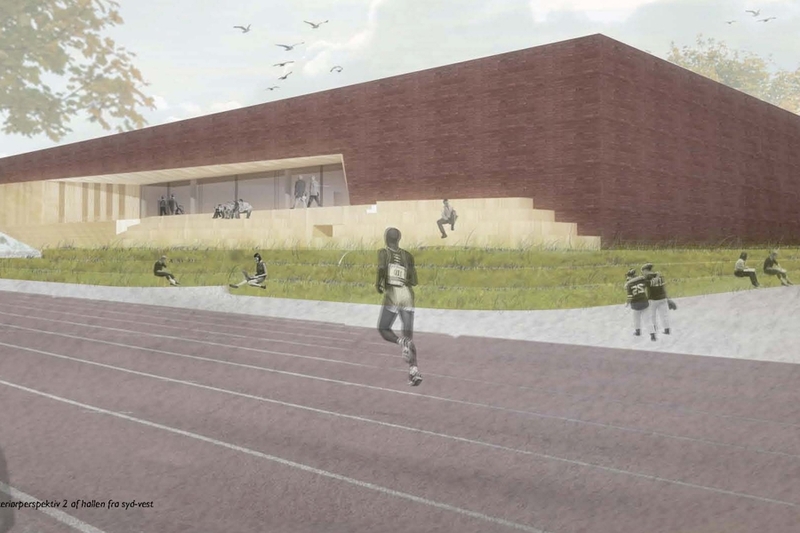 The sports hall is a key element of a new masterplan to expand and reinvogorate the existing campus. 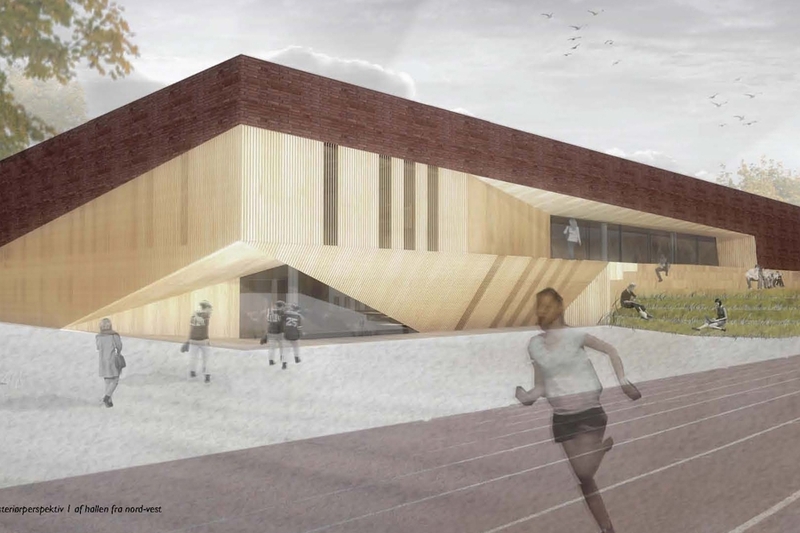 The hall will be for use of the school and other sports clubs on evenings and weekends, extending activity of the campus beyond school hours. 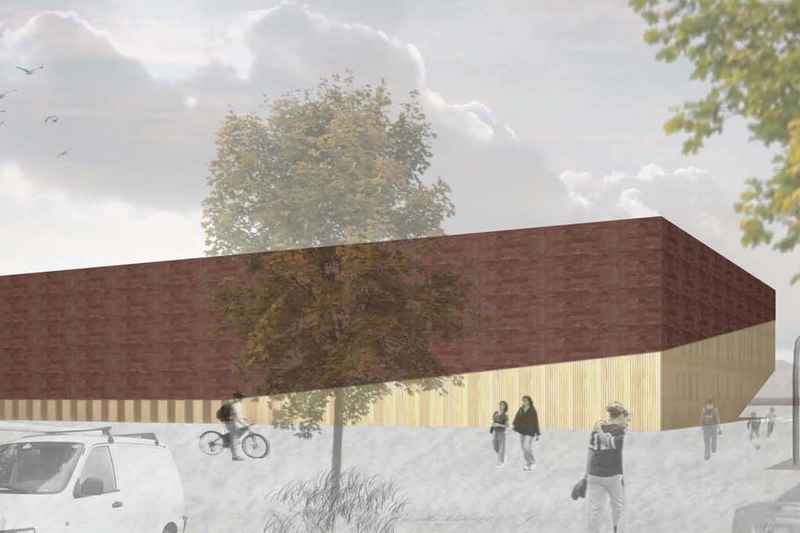 Our proposal addressed the requirement for a predominantly brick building but peeled away this facade at key entry and orientation points where we also moulded the landscape to form a continuous sculptural ground plane throughout the building. 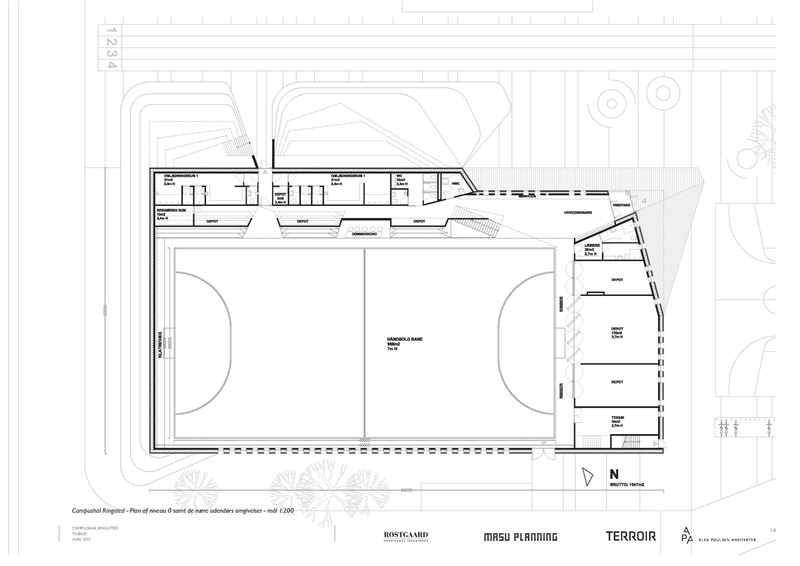 This ground plane connected indoors and out while also creating opportunities for casual and non-specific uses of the building and surrounds.